Welcome to the M.A. 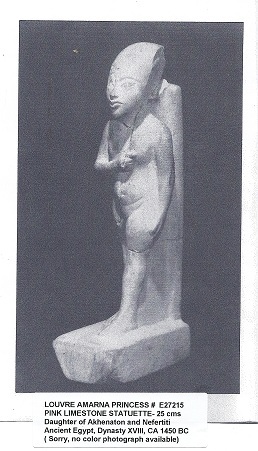 Mansoor Collection of Amarna Era art. This world-renowned collection is justifiably honored as one of the most extraordinary single groupings of Egyptian art in existence. 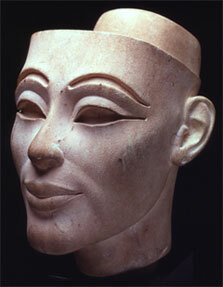 Pieces of the Amarna Collection are included in the permanent collections of the Louvre and the Denver Art Museum and San Francisco State University. We hope that you enjoy the site. If there's anything that we could do to improve the site and the presentation of the collection, please let us know. Contact us here. Featured Item: AKHENATEN'S LEGACY by the late Dr. Brian Stross. New Item: An image of Harold Plenderleith's 1961 report on the Mansoor Amarna Collection added to the list of positive scientific analysis. Trailer for the upcoming documentary "The Mystery of the Mansoor Amarna collection"